Placido Polanco will sign autographs (first 500 guests) on Saturday in the Majestic Clubhouse Store at Citizens Bank Park;12 noon until 1:30 p.m. . . . Phillie Phanatic and Phillies ballgirls will be there. Free parking in Lot P on Darien Street. 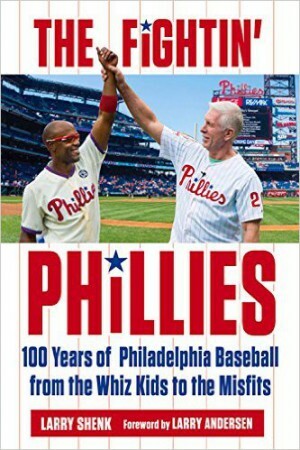 Sunday night is the first showing of the Phillies 2009 Video Yearbook, Legends of the Fall. It will take place at the Broadway Theatre in Pitman, NJ. Writer and producer Dan Stephenson will be there. Video Dan has again produced a classic. Tickets are on sale now at https://secure.mlb.com/phi/ticketing/y2010/dvd_screening_form.jsp. Scouting director Marti Wolever and his assistant, Rob Holiday, met with the scouting supervisors this week in Omaha to begin plans for the 2010 scouting season that leads to the annual First-Year Player Draft in June. Phillies have the 26th selection in the first round, I believe. Ruben Amaro Jr. has been here there and everywhere this month. Went to MLB meetings in Arizona, the Professional Baseball Scouts Foundation’s annual awards banquet in LA, the Baseball Assistance Team banquet in NY, the opening of the Phillies new baseball academy in the Dominican Republic. Tonight, he’s attending the Reading Phillies banquet. Thanks to cell phones, text messaging and his staff, he was able to conduct his normal baseball business while on the go. Ruben also participated in the first-ever two-day Prospect Education Program held at Citizens Bank Park. Robin Roberts (Scout’s Dream Award) and Bill Giles (Bud Selig Award) were honored at the banquet in LA . . . Brad Lidge was honored at the BAT banquet for his contributions to the community. First spring training workout for pitchers and catchers will take place in Clearwater, FL, three weeks from today! A slimmed-down, very relaxed and jovial Charlie Manuel met the media at noon today in the Media Room. He was last seen by the media after the final out of the World Series. When you look back after winning the World Championship in 2008, he went full steam all the way through the 2009 World Series. He actually never really had a chance to grieve his mother’s death in October of 2008. So, he went home to Florida after this year’s Series. No winter meetings in December, no banquets, no award luncheons and a much reduced January schedule this year. The energizer bunny he was not. Charlie went on a diet, fished, golfed and oversaw the renovation of his home. He’s now fully charged. When he walked into the Media Room, he shook hands with some of the 30 media members (plus seven TV cameras). As he stepped on the stage and before he sat down behind the microphone, he paused to turn off his cell phone. “Hold on a minute, gonna put my phone off. Doesn’t matter cause I’m not really answering it anyway,” he kidded. His suit coat was a bit baggy. “Nothing fits anymore, which is good. This was the only clean sports coat I had so you’re stuck with looking at it,” he laughed some more. First media question was where Polanco and Victorino are going to bat in the batting order. Second, Halladay and Lee. Neither were surprise questions. Todd Zolecki will have all the details of the media session on this site. As far as the diet, Charlie said, “Heck, I saw a picture of myself after the series. I had a pretty big gut. My stomach was hanging over my belt. I went on a diet and exercised every day. I was up to 286 pounds. Two days ago, I weighed in at 228. Yesterday, with my clothing on it was 230. It certainly wasn’t my wallet because it’s not that thick,” he laughed again. He also said when his team lost to the Yankees, he told his players, “We owe the Yankees one.” He again laughed but he was also serious. Another day, another 3-year contract signing. Good to have Shane under contract through 2012. Ruben and his lieutenants have done a great job in keeping this team together. Carlos is the last arbitration-eligible player for this year. Negotiations continue on that front. One of the offseason acquisitions has been catcher Brian Schneider, signed as a free agent. He’s a plus addition and gives the Phillies an experienced catcher to work with Carlos. He certainly knows the NL East. Brian will sign autographs (first 500) on Monday evening (25th), 6 p.m. to 7:30 p.m. at the Majestic Clubhouse Store. Chris Wheeler will also be on hand to sign copies of his new book, A View from the Booth. Phillie Phanatic and the new Phillies ballgirl team will be part of the event open to all fans. Free parking is in lot P on Darien Street. I also wanted to mention that in addition to the great Phillies Phollowers blog, four other Phillies fan blogs were in the top 100. 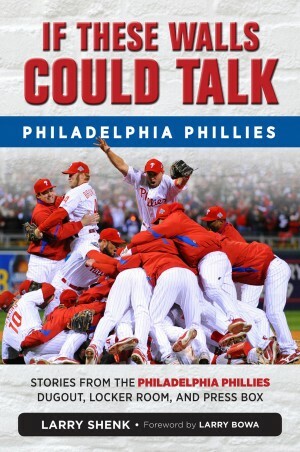 #99 – How ‘Bout Those Phils? Thanks Sue. My fault for not recognizing them. A belated congrats to the four. Joe Blanton is now under contract for the next three seasons. That’s huge. Know there are some Joe doubters out there. But, the guy is 16-8 since coming here and goes to the post regularly. His disabled list file is empty for his career. He’s a very solid #3. Just think, the four-man rotation is now in place for multiple years: Roy Halladay, Cole Hamels, Joe and J. A. Happ. All can be penciled in for 200 innings. Halladay is the Sr. Citizen of the group but right in the prime of an outstanding career. It wasn’t too long ago, we were desperate for four quality starters. Who’s the fifth starter? Well, that’s a story that will be decided in spring training next month and during the season. Perhaps the same scenario a year from now. Thanks to you, Phillies Insider is climbing in the ranks of MLB Pro blogs. Finished 29th a year ago and in first 2010 ranking, it is in 17th place. Todd Zolecki’s Zo Zone blog remains in the number two position of beat writers blogs. He really covers the team thoroughly. Congrats to Phillies Phollowers. In the world of fan blogs, it has jumped from 16th to seventh. Red pinstriped uniforms can be seen running around Clearwater in two days. Well, not the city but Bright House Field and Carpenter Field. No, the back-to-back National League champions aren’t starting spring training. That’s next month. This is the Phillies annual sold-out Phantasy Camp for fans. Twenty-one Phillies Alumni and nearly 150 fans will be in uniform. Some names on the back of the jerseys will be very familiar (Alumni) while other names (fans) will not ring a bell, unless it is your neighbor. Alumni who will be there include Dickie Noles, Mickey Morandini, Marty Bystrom, Von Hayes, Jim Eisenreich, Dave Hollins, Kevin Stocker, Warren Brusstar, Tommy Greene, Tyler Green, Mitch Williams, Kevin Saucier, Ricky Bottalico, Ricky Jordan, Gary Matthews, Keith Moreland, Bob Boone, Greg Luzinski, Terry Harmon and Bob Dernier. Scott Palmer will be there and provide video features on this website. The camp commission is none other than Larry Andersen, who will provide a few laughs. The Alumni will serve as managers or coaches. The “players” will work out, then be drafted for teams and play games at Carpenter Field. Sunday, the “players” will play a game against the Alumni at Bright House Field. Fans are welcome to attend but chances are they will be out-numbered by sea gulls. Next week, a few Alumni will be sprinkled around events in the Philadelphia area. Garry Maddox will host his annual celebrity bowling tournament (856-756-0222 for reservations) on Tuesday. Andersen and Darren Daulton will be in attendance at the La Martinique Lanes in Stratford, NJ. Bottalico will attend Wednesday’s Lehigh Valley IronPigs banquet (610-841-PIGS). Ricky and Marty Bystrom will be at the Reading Phillies annual “King of Baseballtown” banquet the following night (www.readingphillies.com). That same Thursday, Daulton is hosting a Celebrity Dart Night at McFadden’s restaurant at Citizens Bank Park. The Daulton Foundation event will benefit the Arc of Philadelphia/PDDC. Maddox, Andersen and Larry Christensen will join the event (215 952-0300, ext. 10). Individual spring training tickets went on sale for the first time this morning in both Philadelphia and Clearwater…in person, by phone and online on this site. Describing the sales as brisk is putting it mildly. Lines formed outside the six Bright House Field ticket windows which were to open at 9. Seeing the long lines, the windows opened 30 minutes early. Citizens Bank Park’s two windows that also opened early. Online and by phone sales also began at 9. Online is the easiest way to be a fan these days. The first game that sold out was March 17, St. Patrick’s Day, when the green-jersey, green-cap Phillies host the World Champion Yankees and their large green payroll. A couple decades ago, tickets in spring training was an entirely different story. We didn’t start to sell tickets until a few weeks prior to camp opening. The ticket office consisted of one room and three windows at Jack Russell Stadium. It was the only place tickets could be purchased. Once in a while, there would be a line of fans purchasing tickets. That was rare. Even longer ago, we used to carry tickets in our pockets and give them away to people. “Would you like to go to a Phillies game? Here are four tickets.” The Clearwater Bombers were a pro, fast-pitch softball team back in the 1960s that was better known in Clearwater than the big league Phillies. Times have changed. A Grapefruit League game at Bright House Field is some kind of fan experience, the best in Florida. I can’t wait and apparently neither can the fans. Baseball America annually published the top ten prospect list of every major league team during the off-season. John Manuel was the author of the Phillies story that appeared several weeks ago. Soon after the list was published, three of the top ten prospects were dealt to Toronto for Roy Halladay: RHP Kyle Drabek, OF Michael Taylor and C Travis D’Arnaud. * Acquired from the Seattle Mariners in the trade for Cliff Lee. Need to inject a personal Happy Birthday today…..my dear dad, who turns 94. That makes him the oldest living Shenk. At 94, he gets around pretty well, using an occasional walker at his independent living residence back home in Myerstown, PA.
From time to time, he will send some newspaper clippings. A while ago he sent one that appeared in the London News. Didn’t ask where he found it but know he’s never been to England and I’m sure the London News isn’t delivered to Myerstown. Plus ,dad doesn’t use the internet. “You have two sides, one out in the field and one in. “Each man that’s on the side that is in, goes out; and when he comes in, the next man goes in until he’s out. “When three men are out, the side that’s out comes in; and the side that’s been in goes out and tries to get those coming in, out. Desperate for a warm thought? First day for pitchers and catchers in Clearwater, FL, is 44 days away! Individual spring training tickets go on sale next week. Game times are finalized for the Phillies’ Grapefruit League schedule. We’ve also received the ESPN Sunday night TV schedule and the list of FOX Saturday telecasts for the regular season. So, pocket schedules are being finalized and the home schedule on this site is being updated. Know it is a day late, but Happy Birthday to Charlie Manuel. Phillies January birthdays include three catchers, Darren Daulton, Mike Lieberthal and Carlos Ruiz. Danys Baez has been assigned #55, last worn by Clay Condrey. After passing a physical exam, Baez met the media this afternoon in the Media Room and then headed back to Miami, where it is cold but much warmer than Philly. A native of Cuba, Baez defected to Costa Rica prior to the last game of the Pan American Games (August 1, 1999) while in Winnipeg, Canada. He pitched for the gold-medal winning Cuban National Team. and spoke no English at the time. That fall he signed as a free agent with Cleveland. Last native Cuban to play for the Phillies? According to my research, Tony Perez in 1993. The 1964 Phillies had three, Tony Taylor, Cookie Rojas and Tony Gonzalez. Baseball Writers make their announcement tomorrow afternoon. Phillies Alumni have selected their Hall of Fame candidates.